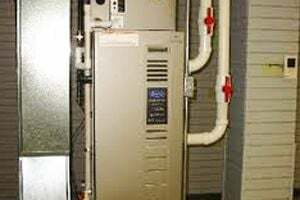 Comment: have a heat pump, would like to get estimate to replace the existing system, and also an estimate on how much it would cost to replace the current heat pump, with a propane furnace. The coils are leaking on my current 13 year old unit. Comment: Condo Liberty Village Area. Had it checked out they said it needed replaced. will be finishing basement at some point and time. will need vents and possibly ductwork for that area. Comment: Boiler pressure diaphragm appears to be bad and pressure in boiler is high such that the PRD is releasing water on the basement floor. Comment: Shower grout has cracks and water is leaking behind the wall. Need shower tiles and grout to be replaced. Also need new bathroom floor tile and grout. Comment: I think the boiler needs to have it cleaned or service. The reset button won't start. Coopersburg Heating & Furnace Contractors are rated 4.70 out of 5 based on 2,577 reviews of 21 pros. Not Looking for Heating & Furnace Systems Contractors in Coopersburg, PA?